Pattern Name: "Pinecone Delight v2"
Pinecones! Who doesn't love 'em? 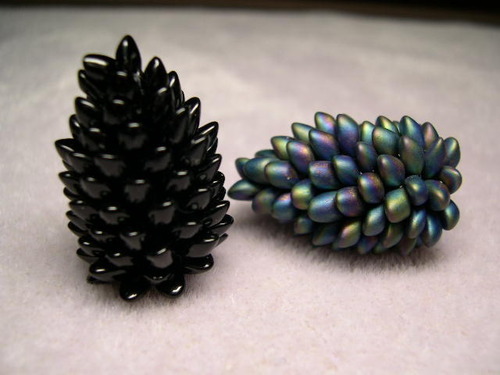 Create Barb Grainger's "Pinecone Delight," an incredibly delightful miniature pinecone using Miyuki's uniquely shaped Long Magatama 4x7 m/m beads. 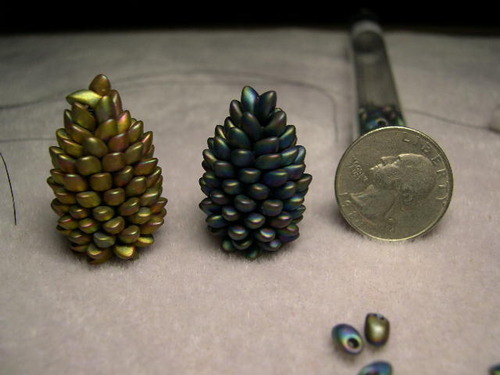 This adorable little 1 ¼ inch tall pinecone makes a great focal bead for a necklace or stands alone as a 3-D object d'art. Create one or a bowlful!